From pumpkin spice lattes to warm fuzzy blankets, Fall is here and the colors are simply inspirational. Kitchen with light green floor and pumpkin door. Khaki & pumpkin bedding on twin bed. Wicker canopy bed with pumpkin coral bedding. Light blue cabinet with coral background and coral chair. 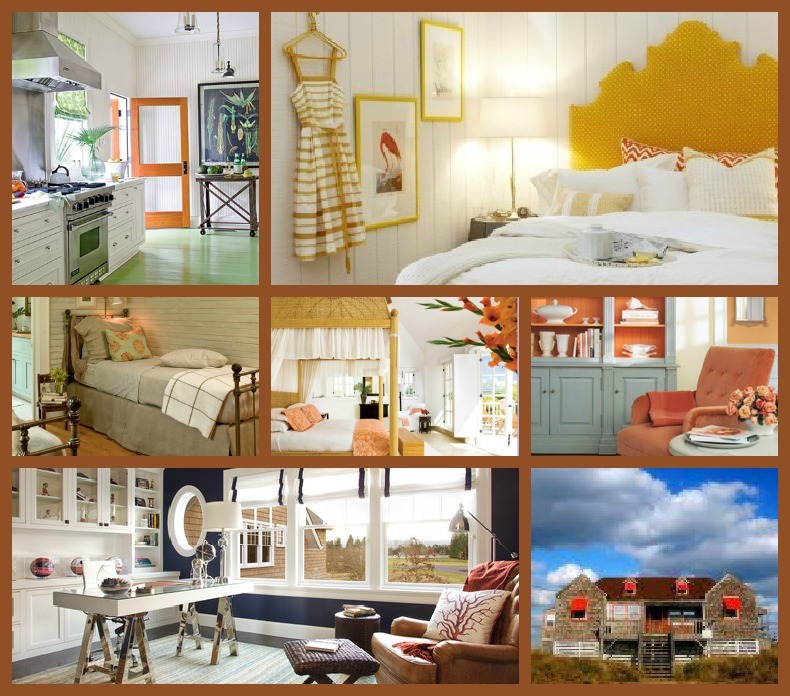 Nantucket beach house with great pumpkin awnings.